Список литературы по: "Другие терапии"
1. Biopuncture: The Management of Common Orthopedic and Sports Disorders. 2. Brain training for the elderly. 3. Connective Tissue Massage: Bindegewebsmassage According to Dicke. 4. Effect of Ultrasound Therapy on Subserousal & Intramural Fibroids. 5. Кора Бессер-Зигмунд, Харри Зигмунд. 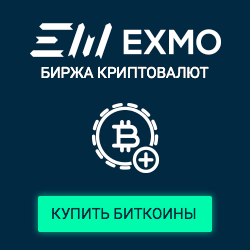 EMDR в коучинге. , 2007. 6. External counterpulsation: a novel therapy to stimulate arteriogenesis. 8. Foundations in Craniosacral Biodynamics: Volume One: The Breath of Life and Fundamental Skills. 9. Impact of visceral osteopathic treatment on low birth weight infants. 12. Pain management by Prolotherapy and Perineural injection therapy. 13. Pediatric and Adult Nutrition in Chronic Diseases, Developmental Disabilities, and Hereditary Metabolic Disorders. 14. Perspectives on Recreational Therapy. 16. Single case study Osteopathy. 17. Study of the Effect of the Low Level Laser Therapy on Wound Healing. 18. The Knock Nerves and Milliherb Therapy: All Diseases are Curable. 19. Therapeutic Recreation Programs in the Community: An Inclusive Approach. 20. Thermographic Skin Measurement and Osteopathic Palpation.